Ultralight / Watertight Series, "The .7"
The Ultralight / Watertight Series features proprietary DryFlex™ bags for the ultimate in ultralight, waterproof storage. Ideal for the multi-sport athlete that refuses to be let down or weighed down by his or her gear. The Ultralight / Watertight .7 is designed for adventure racers, multi-sport enthusiasts, and anyone who needs an ultralight kit with enough supplies for 1-4 people on trips up to four days. An inner DryFlex™ waterproof liner and an outer sil-nylon bags with sealed-seams provide two layers of protection from the elements. This is an ideal kit for adventures who may be exposed to the elements. 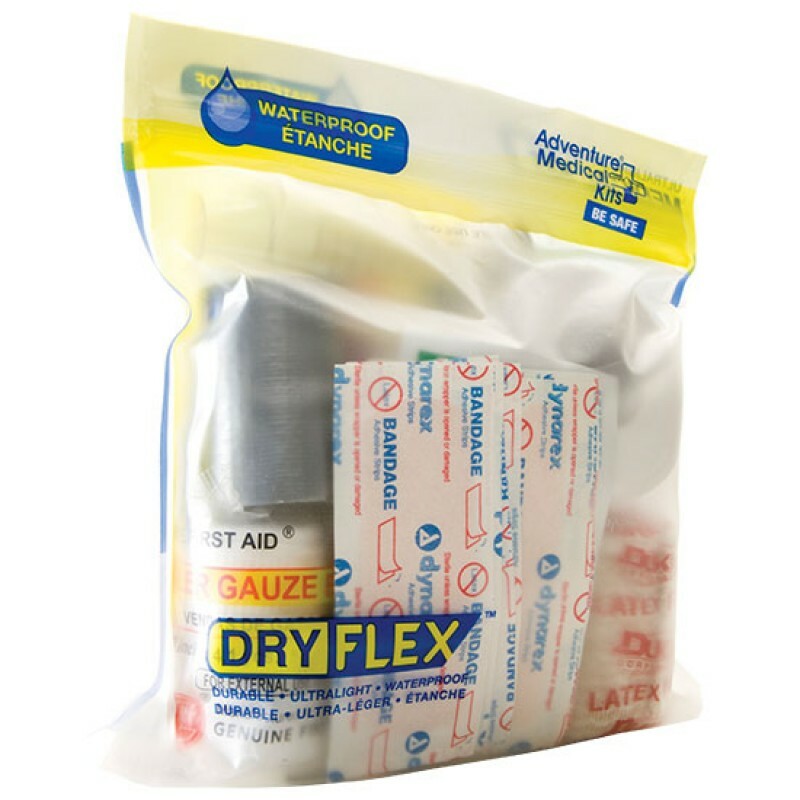 Inner DryFlex™ bags and outer seam-sealed siliconized nylon bag with water-resistant zipper. Die-cut Moleskin plus Skin Tac™ topical adhesive to protect against the hiker's #1 injury. We reserve the right to add, substitute, or delete items if necessary.